Now in its 86th year, the Plaza Art Fair is a much-beloved Kansas City tradition that celebrates the city’s stellar creative culture. But before you go, consult our list of need-to-knows and where-to-go’s so that you can stress less and appreciate more art. Friday, Sept. 22: 5–10 p.m.
Saturday, Sept. 23: 10 a.m.–10 p.m.
Sunday, Sept. 24: 11 a.m.–5 p.m. Admission to the event is free. Zero dollars. Zero cents. 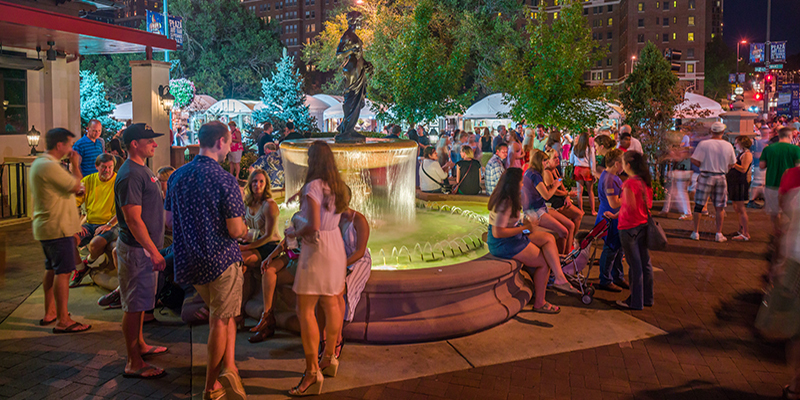 The Plaza Art Fair encompasses nine city blocks in the Country Club Plaza. The streets surrounding these blocks are shut down during the event to accommodate for walkers and to make room for festival booths, tents and more. Consult the fair’s map for road closures and open parking garages if arriving by vehicle. More than 240 participating artists. Rock out to more than 50 musicians performing on three different live stages. Choose between 25 featured restaurant booths (or sample all of them). The fair goes on rain or shine. 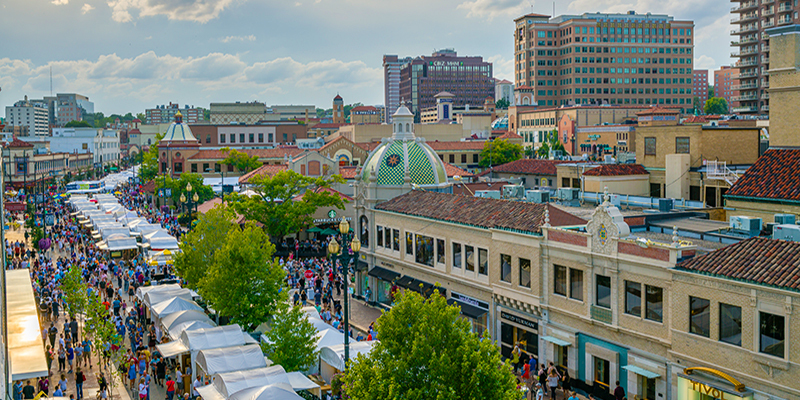 Country Club Plaza shops and restaurants are open during Plaza Art Fair. Some hours may vary by location. This year’s Plaza Art Fair ought to be the best yet, because with three days full of local, national and international artists, live music, delicious dining selections and more, you’re sure to enjoy yourself.